This time of year, light and bright dishes are rarely what I crave, yet when I do dig in, my taste buds are rejunivated. In the PNW we’re lucky to get a few spring like days in the dead of winter. 50 degree weather tempts us to brush off the barbecue and leave the house with only denim jacket. Days like these have me hankering for a fillet of grilled salmon and a side of tabbouleh. 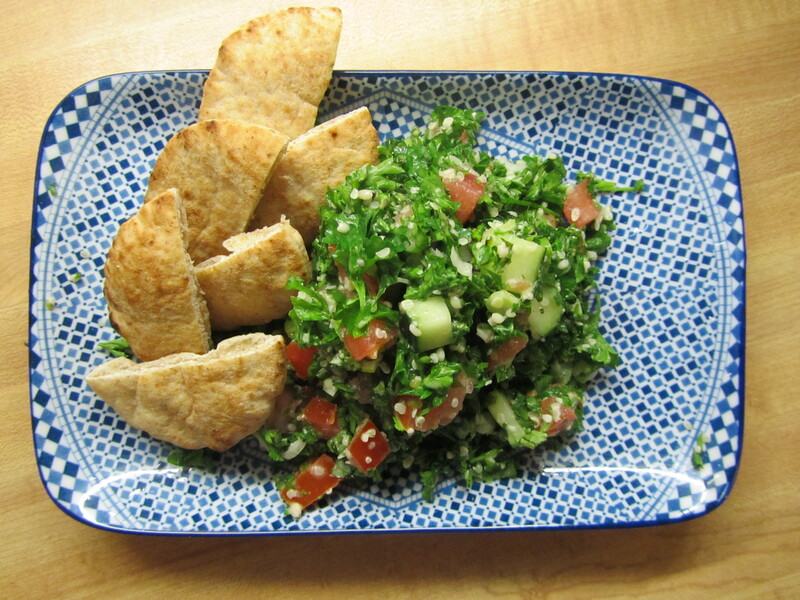 Tabbouleh doesn’t need an introduction, it does, however, need a coming out party. It isn’t the cracked wheat salad you thought you knew. Tabbouleh is a parsley salad, with cracked wheat, or in my case, hemp seeds. Parsley salad. You should be seeing green. Inspired by a recipe from Rawvolution, and abiding by my diet’s plant sourced fats rule, hemp seeds replace bulgur in my version of tabbouleh. One of the philosophies of the E2 diet, is that all my fats should come from a whole food source. That means no oil: no olive oil, no canola oil, not a drop of sesame or walnut oil for flavor. Nope, all fat should come from nuts, seeds, olives and avocados. This isn’t east. Forget trying to fry anything, and making salad dressings have been a lesson in creativity. The reason for such culinary sanctimony is that I’m also getting all the fiber, the protein, and micronutrients that a processed product leaves behind. 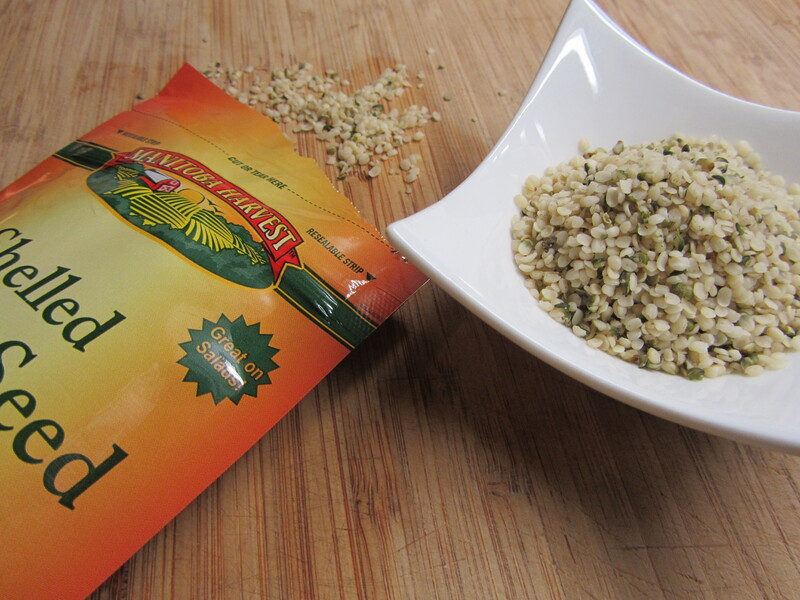 Hemp seeds are a fantastic source of Omega 3 and Omega 6 fatty acids, contain 10 amino acids and like quinoa, are considered a complete protein. Who knew? These little seeds have a texture akin to raw sesame seeds and a pleasant pine nut flavor. Look for them in your grocer’s refrigerated section or with the supplements. Did I mention that this is a fantastic Gluten Free recipe? It is! I like to use curly parsley for tabbouleh. It isn’t as strong in flavor as the Italian flat leaf variety and has a minty under tone. It is super important that you pick all the leaves, wash then dry them before chopping them. This can easily be done by filling a bowl with cold water and allowing the parsley to take a quick bath before squeezing out as much water as possible. Lay out the leaves on a clean dish towel and roll the towel around itself to extract as much water as possible. I don’t recommend using your food processor to chop the leaves, otherwise you’ll end up with a pesto like glob of parsley and water. Better to practice those knife skills and chop, chop, chop! 1 tsp kosher salt, if you don’t have kosher salt, use 1/2 tsp table or sea salt. Make it yours: This is a great base for jumping off. I often think to add a can of drained and rinsed garbanzo beans, or to dice up some sashimi tuna and add to the mix. A cup of pitted kalamata olives would be lovely, as would toasted and chopped almonds or crumbled feta cheese. Mmmmm mmm love those hemp seeds! What a great recipe. I just wanted you to know that I threw a “Stylish Blogger” award your way over on my blog. Participate as much or as little as you wish, but I wanted to let you know I enjoy your posts – you have some great recipes, and I am amazed how you still find time to blog while raising a little one!